Every year Conventa draws attention to excellence in the meetings industry with an award for the best event in 'New Europe'. Organizers of mind blowing events from New European region are invited to enter the competition that will again acknowledge the best in the event business. The winner will be announced in August 2019 during the Conventa Crossover conference in Ljubljana. Who became the best event of New Europe? Evaluation of submitted events is carried out on a three-stage basis according to a unique 80:20 model (80% of votes are contributed by the jury whilst the expert audience at the Conventa Crossover event contribute the remaining 20%). Pre-selection of submitted entries is carried out by an expert jury on the basis of strict evaluation criteria, which are presented below. The jury choose up to a maximum of five events per category (five B2B and five B2C). All the shortlisted events receive a diploma. Applications should be submitted by 15th July 2019 at the latest. At the Conventa Crossover conference, finalists will present their event to participants, who will evaluate each one using the Slido system. Presentations will take place in a combination of the Pecha Kucha format and video presentations. Each presentation should be a maximum of 10 minutes. The expert jury will choose the winners on the basis of the sum total of their points and the audience votes. The winners will be announced on the second day of the Conventa Crossover conference. Two awards will be bestowed – for the best B2B event, the best B2C event and the best Crossover event. All submitted entries will be evaluated by a jury consisting of international experts from the field of event organisation. The jury will initially define a shortlist of events which will be announced on 16th August 2019. The jury consists of 12 members who participate and have equal votes in evaluating the submitted entries. Every member of the jury makes their decision individually on the basis of their expert knowledge, reputation and authority. Each member also has the right to raise objections and questions, as well as an obligation to explain the scores given when evaluating entries to receive the main award. The work of the jury is planned and monitored by a representative of the organisational board of the Conventa Best Event Award. A chairperson and vice-chairperson will be chosen from among all members of the jury, who will have the deciding vote. A deciding vote is used only in cases where the results of the jury’s votes are tied. Members of the jury are excluded from evaluation entries in which they are, or have been, personally involved, or where their companies or agencies are involved. The jury can decide not to make an award in a certain category if it decides unanimously that entries in an individual category do not meet the standards of the award. All the interim results of the evaluations of entries, the interim evaluations by individual members of the jury and the content of discussions among members of the jury are confidential. All members of the jury and the representative of the organisational board for the Conventa Best Event Award are committed to secrecy. WHY SHOULD I APPLY WITH MY EVENT? Open to events demonstrating an original idea that’s big and brave, meant for both a B2B and B2C public. Your event can now be THE event the meetings industry just won’t forget! Meeting planners, don’t let your ground breaking events go unnoticed. Get the recognition you long for and deserve. Show you colleagues why you are the best at what you do! The deadline for registering your event is 15th July 2019, and we hope that you will respond to our invitation in great numbers. We look forward to seeing you at Conventa Crossover, which will take place from 28th – 29th of August 2019 at Cankarjev Dom in Ljubljana.  The fee for registering one entry to the competition is the same as the registration fee for the Conventa Crossover 2019 conference: EUR 250 (+VAT). This includes a registration fee for one person for both days of the event. - The right to use the 'Best Event Award' symbol.